What's hot for 2011? On House & Home, Tommy Smythe says, "brass is the new chrome" and I have to agree with that.﻿ I've noticed over the last year that brass and gold have been popping up in my decor. I love mixing it with my silver pieces. It gives it a fresh, new look. 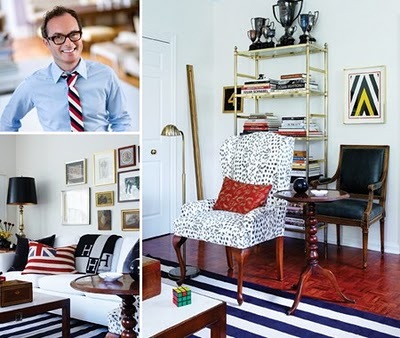 Tommy is also great at mixing patterns to modernize a classic space. The spotted chair is so much fun! What do you think of his trend choices?